Holidays in Apartment in Rome! For many years we have managed the rental of a number of apartments in the heart of Rome with great skill and passion for our work. With solutions which are a far cry from the cold, anonymous apartments which so often constitute the rented accommodation offer, we offer real and proper homes in the historic heart of the city, just a stone's throw from the Vatican, the Trevi Fountain and all the other world famous monuments of Rome. Indeed, our apartments are located in such a way as to offer not only the chance to enjoy an easy, comfortable, value for money holiday, but also to experience the culture and vitality of Rome first hand. For further information and details of special offers regarding the rental of apartments in Rome, please visit our website. 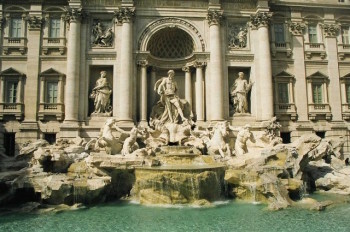 For over twenty seven centuries, Rome has been the epicentre of civilization, a city of great generals, extraordinary leaders and artists of enduring fame. As a result, Rome is now home to an unequalled historic and artistic heritage. Every corner, every square and every building in the centre of Rome offers the modern-day visitor a glimpse of the grandeur of ancient times, spoiling him or her for choice with the wide range of churches and monuments to be seen. In order to help our guests make their way through the splendours of the Eternal City, we have drafted a “Guide to Rome” listing and describing all the most important places of interest. Next time you come to Rome, don't make do with any old, run of the mill solution! Take a look at what we have to offer! A comfortable apartment just a stone's throw from the Vatican? A view of the Colosseum from your bedroom? Visit our website for further details. 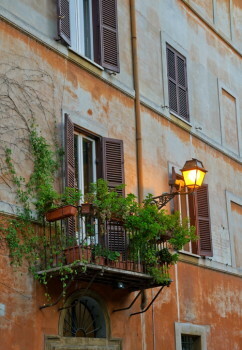 By choosing one of our holiday apartments in Rome, you can be sure of a real taste of life in the Eternal City. Indeed, by renting an apartment in the centre of Italian capital, you will able to experience the magical atmosphere of one of the most ancient cities in the world from the inside. What do you say to a personal encounter with the jet set style of the dolce vita? Why not let yourself by bowled over by the charm of a city what has bewitched half the world? Apartment holidays are both as comfortable and as convenient as hotel-based breaks, with the bonus that an apartment holiday does not force you to change your life style. Indeed, with an apartment as your base you can experience the city at your own pace, letting the days flow gently by, stopping to watch the sun set over the seven hills or plunging yourself into the lively metropolitan nightlife. It's up to you to decide how to spend your time. Would you prefer an apartment just a stone's throw from the Vatican or the Spanish Steps where, as soon as you leave the door, you are swept away by the magical life of Rome? Or perhaps an apartment slightly further a-field which you can use as a base for day trips to the city, plunging yourself into the dolce vita only when and if you want? All the ingredients for an unforgettable holiday are there: Rome provides the setting and the magic, we provide the apartments, the expertise and the seriousness. The ingredients are all ready… it's up to you to mix them!